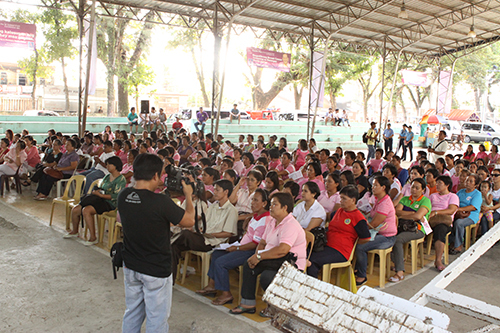 ICanServe Foundation and the City of Panabo partnered for Ating Dibdibin, the first comprehensive national community-based breast cancer screening program in the Philippines. A flagship project of ICANSERVE, Ating Dibdibin aims to save more lives by promoting early breast cancer detection. Launched on November 24, 2010 in Panabo City, Panabo City Mayor Jose Silvosa signified the city’s commitment to making the program permanent. He also allotted a fund for underserved and uninsured women who will be diagnosed with suspicious lumps. They will have free access to a biopsy, mammography and breast ultrasound at the Rivera Hospital. 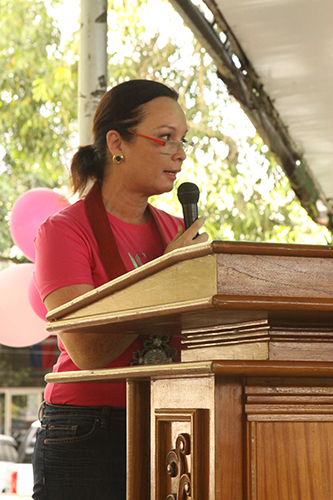 Breast cancer patient advocate Margie Moran-Floirendo pledged to duplicate the program in the entire Davao del Norte and possibly Mindanao. Dawn Zulueta, wife of Representative Anton Lagdameo (2nd district, Davao del Norte), signified her support for the program as well. She emphasized that early breast cancer detection is key to survival. 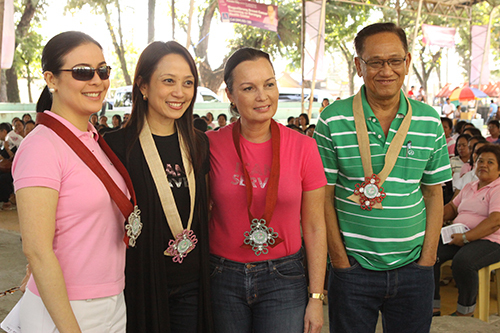 ICanServe president Kara Magsanoc-Alikpala said the frontliners and heroes of the Ating Dibdibin program are the community or barangay health workers who will be teaching women in the communities early breast cancer detection techniques. They will also be conducting free breast cancer screening. Ating Dibdibin was made possible by a grant from Pfizer Foundation under the auspice of the American Cancer Society. It was piloted in Marikina City in 2008.